Unchartered territory for the majority of today. 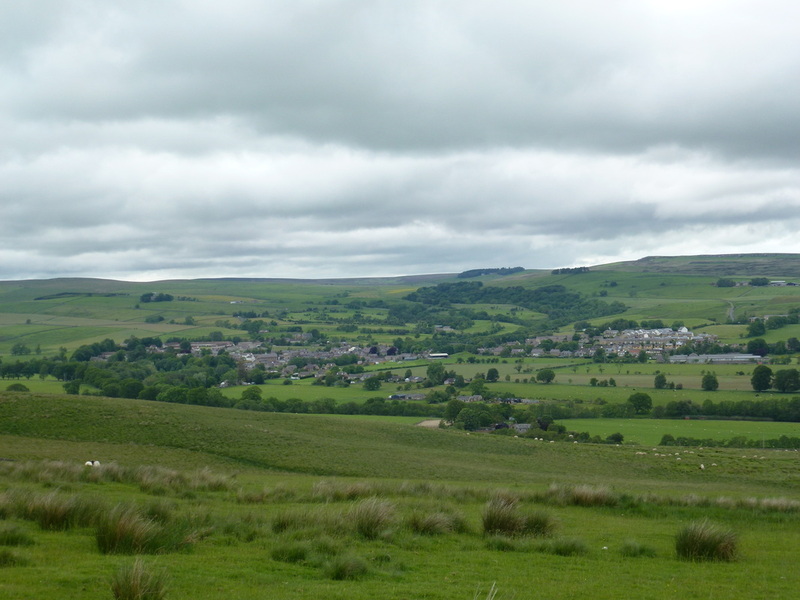 This promised to be another good day on the Pennine Way although the weather was not looking too promising as we set about packing our bags up before breakfast. 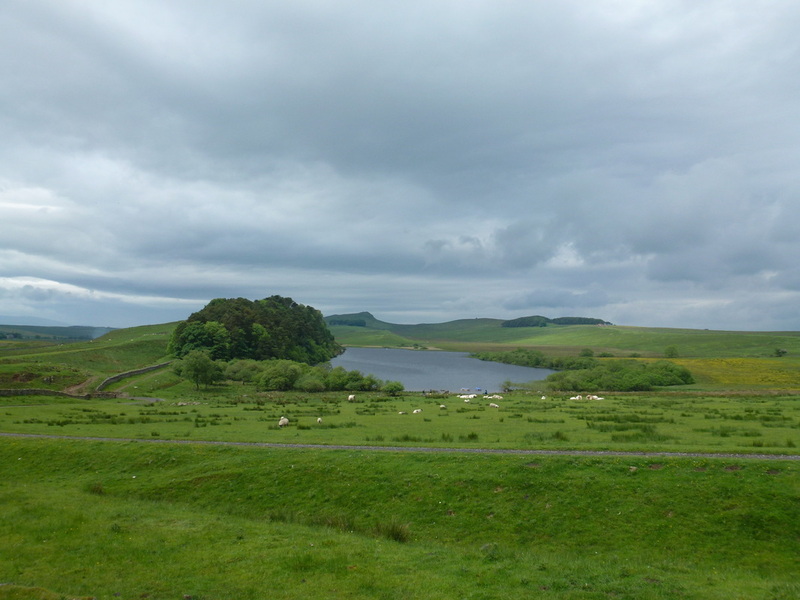 There was a slanting, heavy drizzle passing by the window and this would last until we reached Crag Lough from when the weather would improve to just overcast! 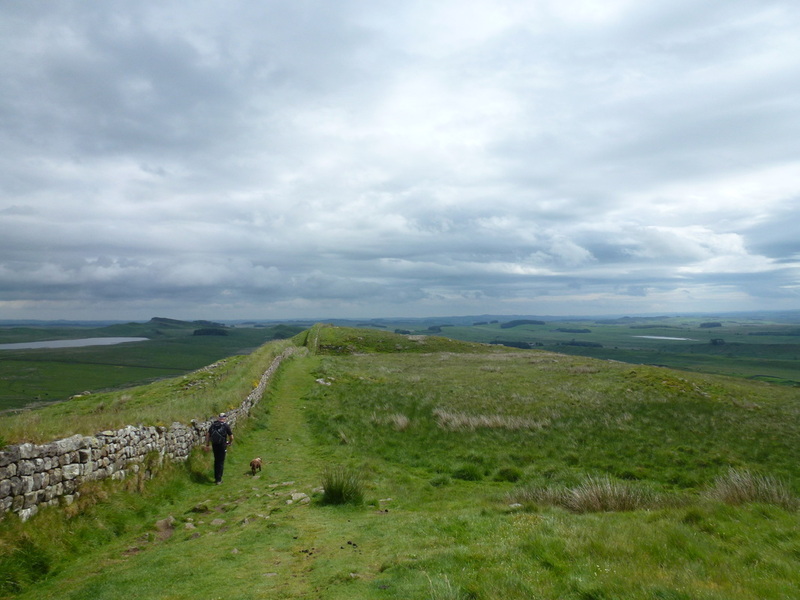 Our route today would take us back along most of the section we walked yesterday from Housesteads and then pass through the Wark Forest before a long stretch through forest plantations and moorland which would take us to the outskirts of Bellingham. Breakfast was chaos! Too many demanding people and not enough staff made for a long wait for something hot - we were not complaining but it was fun to watch our American friends making demand after demand whilst the rest of us Brits waited in stiff upper lipped silence. We got there eventually and the 19th Full English on the bounce went down very well - we ate with Ian & Rosie who were also off to Bellingham today but were staying in a different B&B to us. 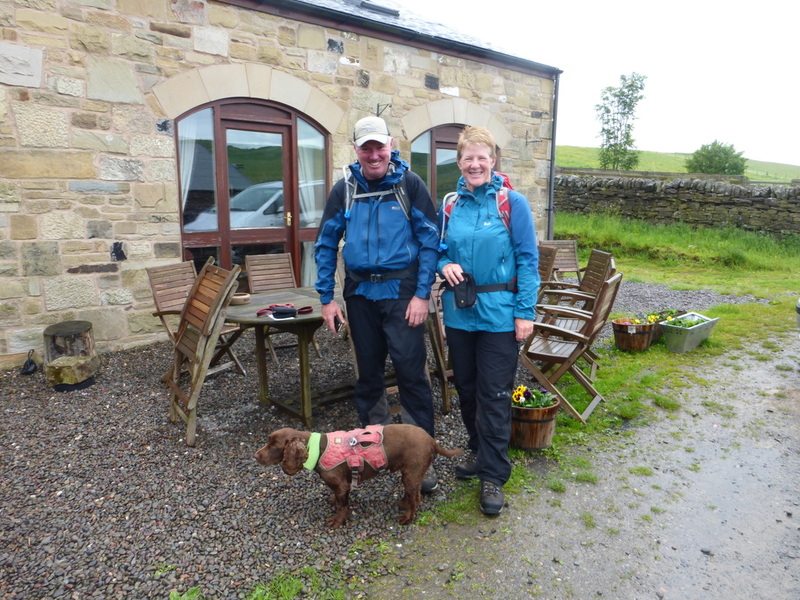 Breakfast over - eventually, we paid our bill and thanked Sean for a lovely stay before meeting up with Ian & Rosie for a Saughy Rigg photograph. We let them go first and 10 minutes later we were away to walk the mile or so back up the hill to Steel Rigg Car Park in the continuing drizzle. 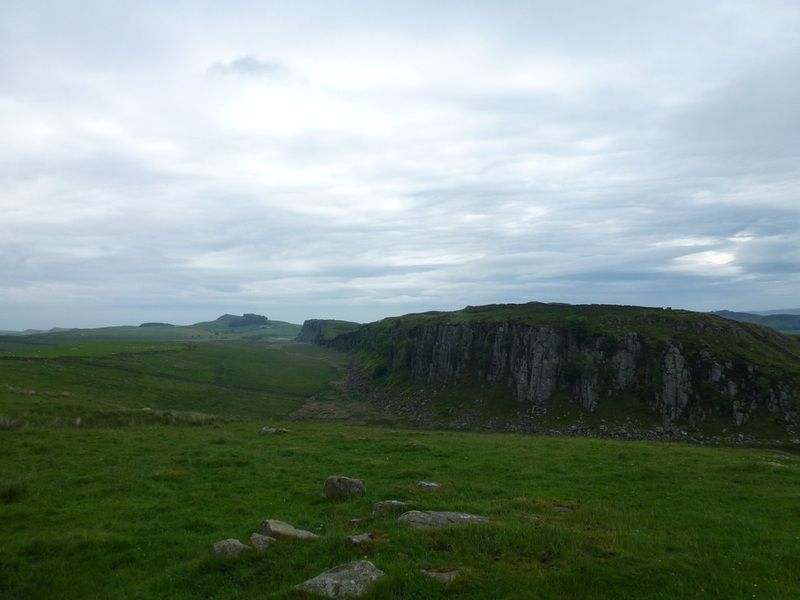 From the Car Park we headed east along Hadrian's Wall to below Peel Crags where there was a steep scramble up to the top before a flat section to reach Milecastle 39. 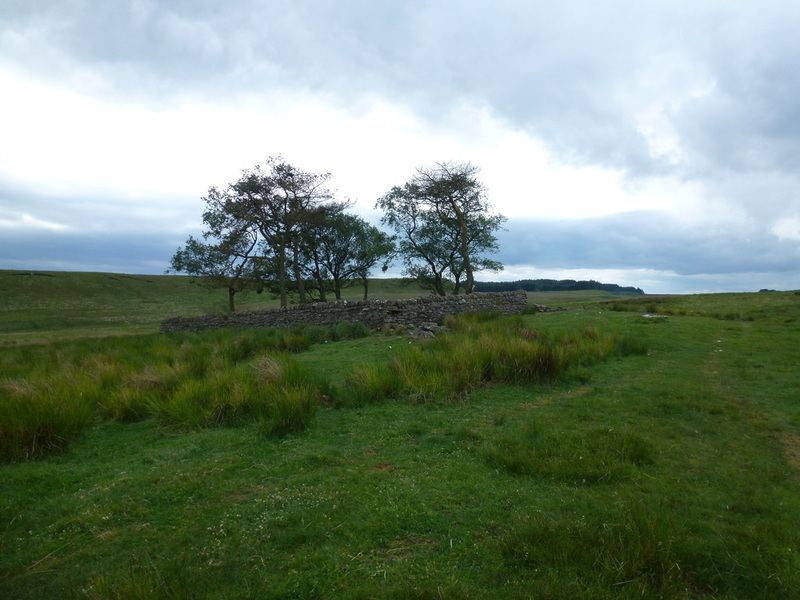 Above the Milecastle we observed that it was inhabited - not by Roman Soldiers but by a herd of cows that did not look as though they were at home to visitors therefore we dropped off the wall and circumnavigated to the right to reach the lone Sycamore. 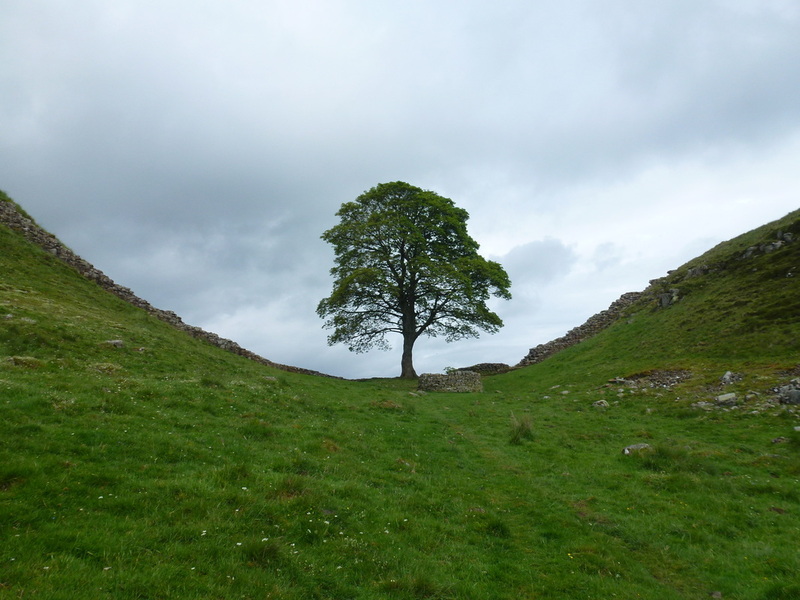 This tree is very famous, having been used for scenes in the 1991 Robin Hood film starring Kevin Costner and is a lovely spot to rest a while. Resting over we were then faced with a steep climb to reach a lovely spot high above Crag Lough which led to a precarious path above the lake which took us to the other end to reach Hotbank Farm. From the farm we climbed up steeply again to reach Hotbank Crags from where we could see Ian & Rosie making their descent down off the wall at Rapishaw Gap. We were going to miss the Wall - such an interesting and historical area that we will return to walk end-to-end one day. .... and here is that uphill climb. 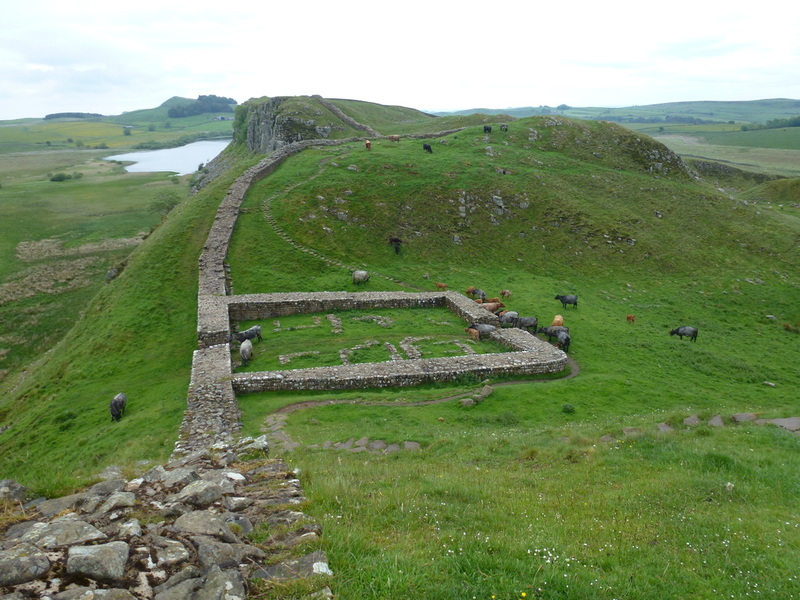 The Wall is constantly undulating and is a good test of fitness. A fairly level section of the wall as we approach our departure point at Rapishaw Gap. 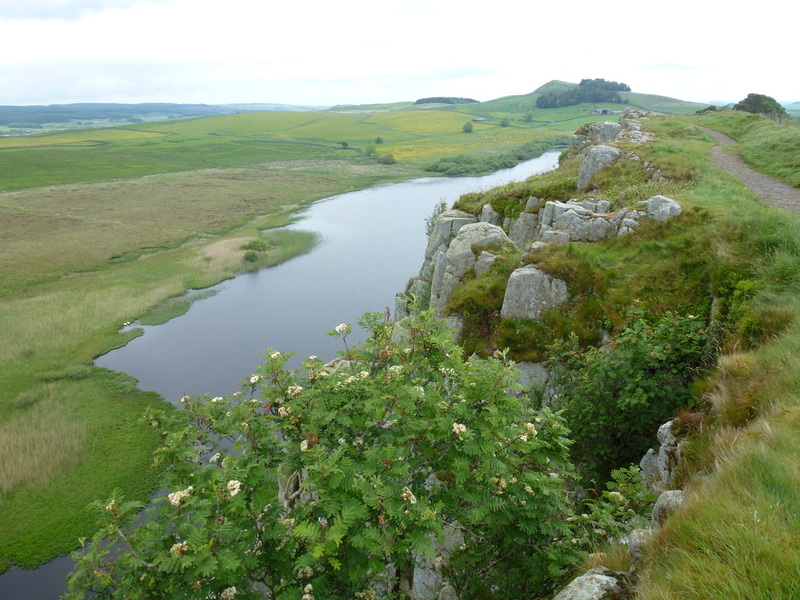 Broomlee Lough is the body of water to the left. The turning point as we leave the wall at Rapishaw Gap. 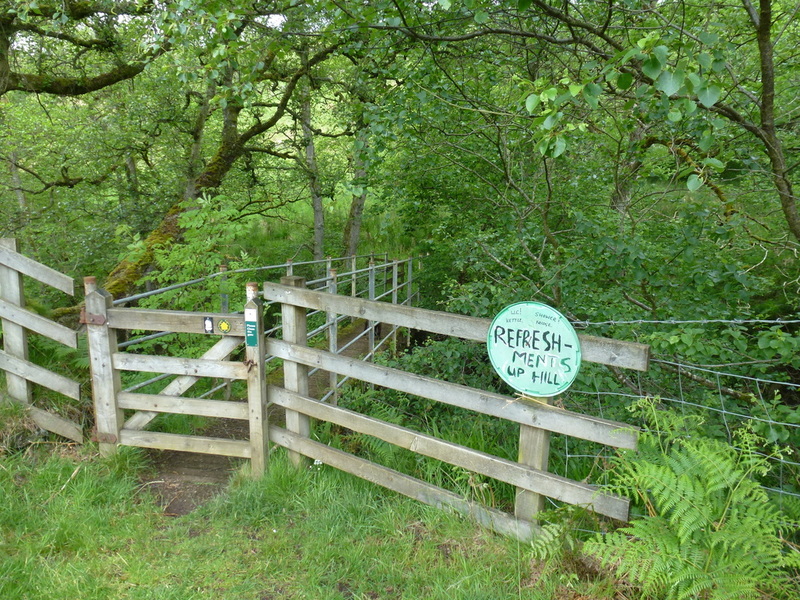 At Rapishaw Gap there is a steep descent over rough terrain and we could see the heavily wooded Wark Forest ahead as we passed to the east of Greenlee Lough. Entering the forest, the route headed along a good track for 3/4 of a mile before leaving this to head through a very boggy section which fortunately did not last long as we reached a gate leading on to open land again. Crossing a planked bridge we caught up with Ian & Rosie who decided to stop and have lunch at a lovely wooded Enclosure and rather than cramp their style we sauntered on back into the forest then out once more on to open land before arriving at Willowbog Farm. Just the other side of the farm we too decided to stop and have a bit of lunch as the sun had decided to make an appearance - for about 10 minutes. Lunch over and after a brief stop to chat with Ian & Rosie who had caught us up, we headed off again - we would not see them again until that night. 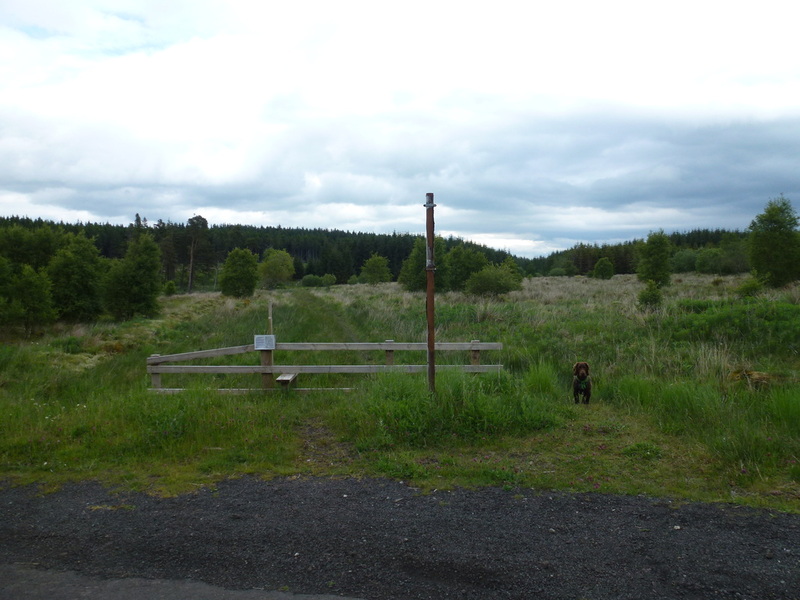 Shortly after Willowbog Farm and after reaching the second of two tracks we arrived at a diversion. 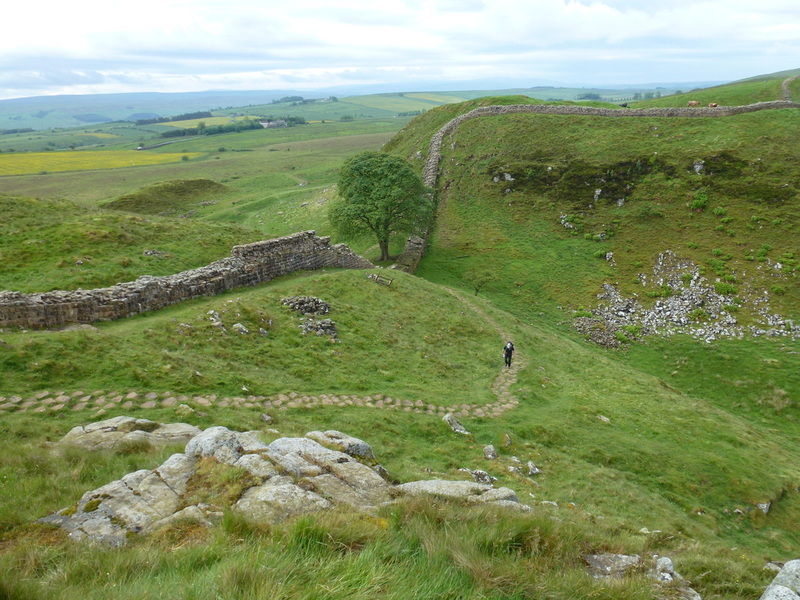 This was an eroded section that was detailed in our guide and the diversion was well waymarked. 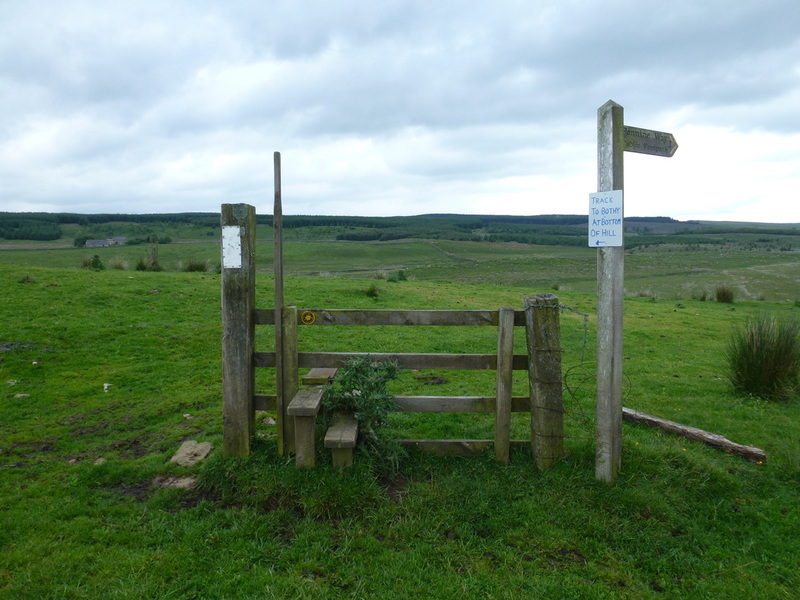 We were soon back on the route proper and after passing a waterfall to the left reached Warks Burn, crossing it via a steep drop and climb to reach Honeysteads Farm and the refreshment hut that had been signposted for the last mile or so. 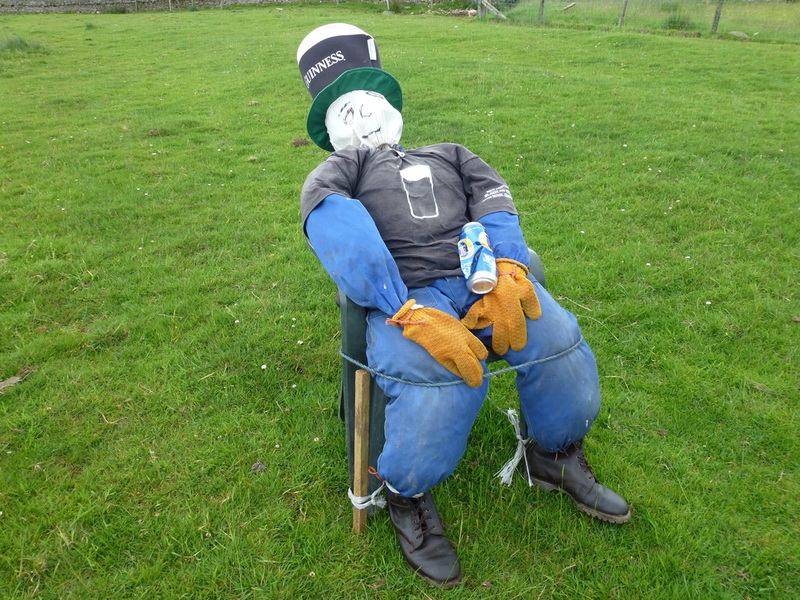 We decided to aid their stock control therefore after a quick break of a cold drink and some chocolate we journeyed on to arrive at the lovely cottage at Low Stead. 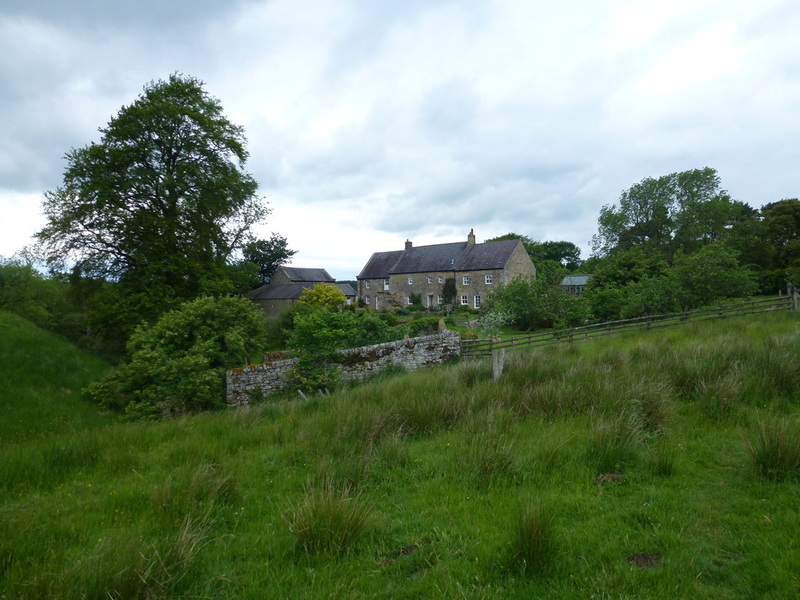 The Pennine Way does a curious little loop around the cottage gardens before reaching the access road. 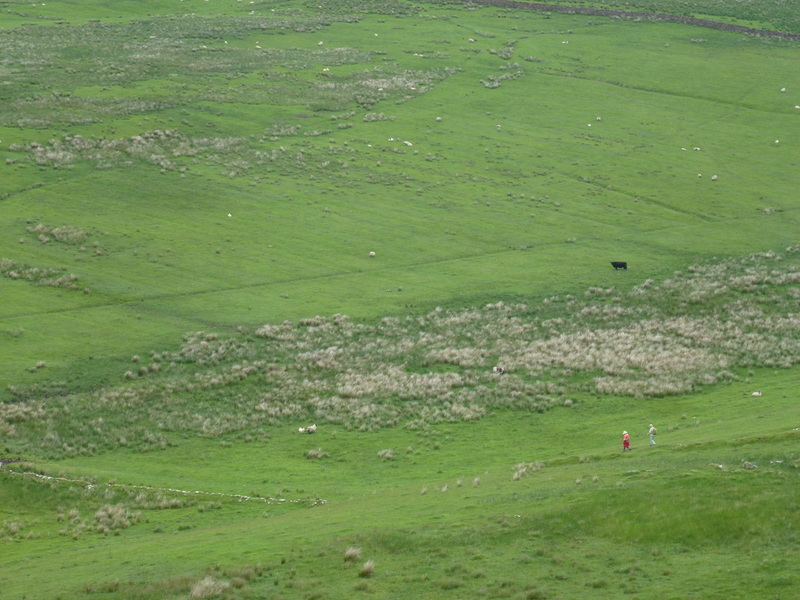 The fence barring the entrance to the eroded section north of Willowbog Farm. 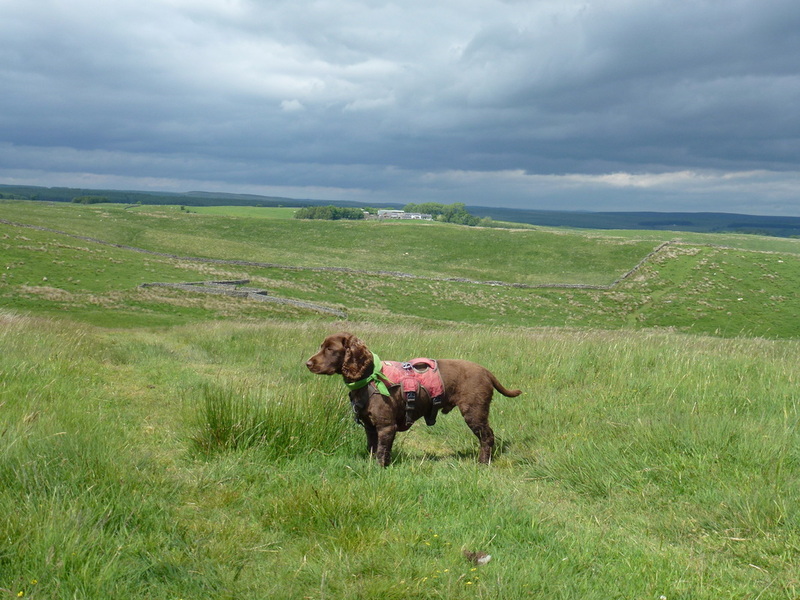 Fudge and his built-in GPS cannot understand why we are not going this way. 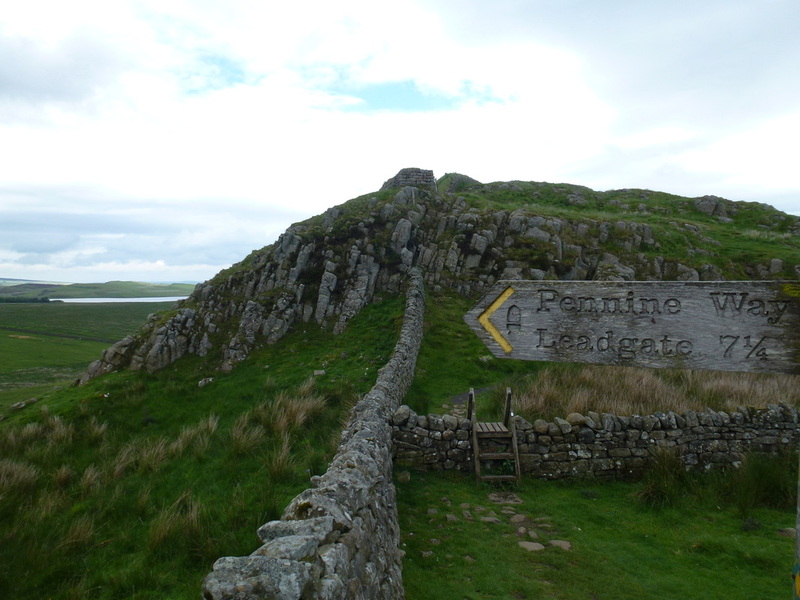 The diversion is along the gravel path to the right following Pennine Way markers. The extra distance involved is minimal. 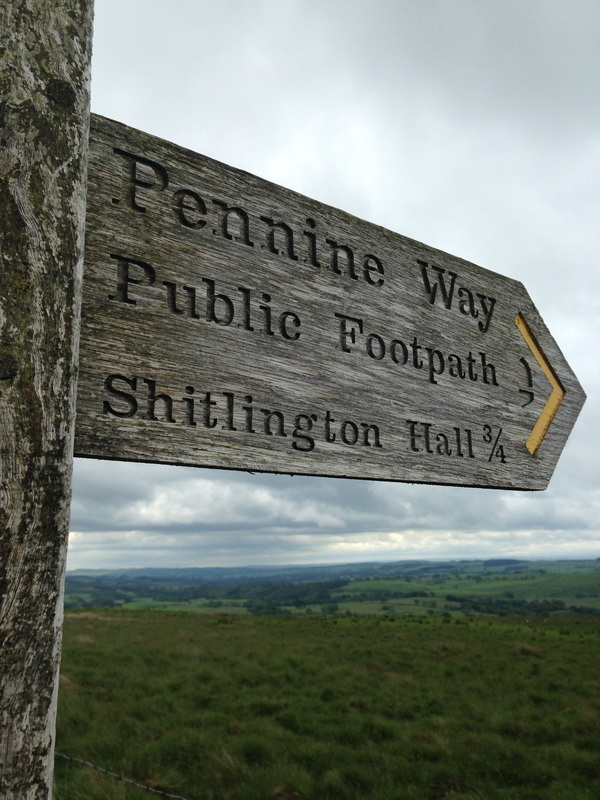 Straight to the point - it was a bit longer than a mile though! 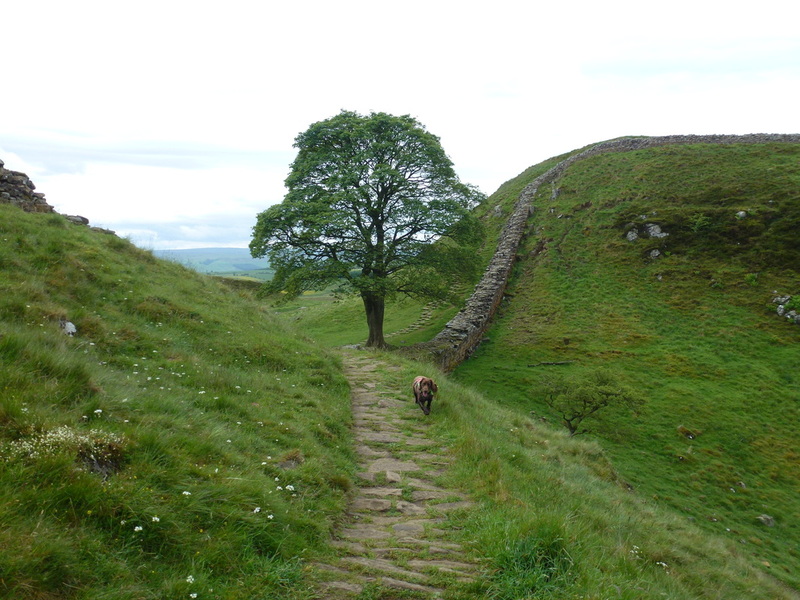 Fudge was thoroughly enjoying this section - grassy paths are his favourite walking terrain. 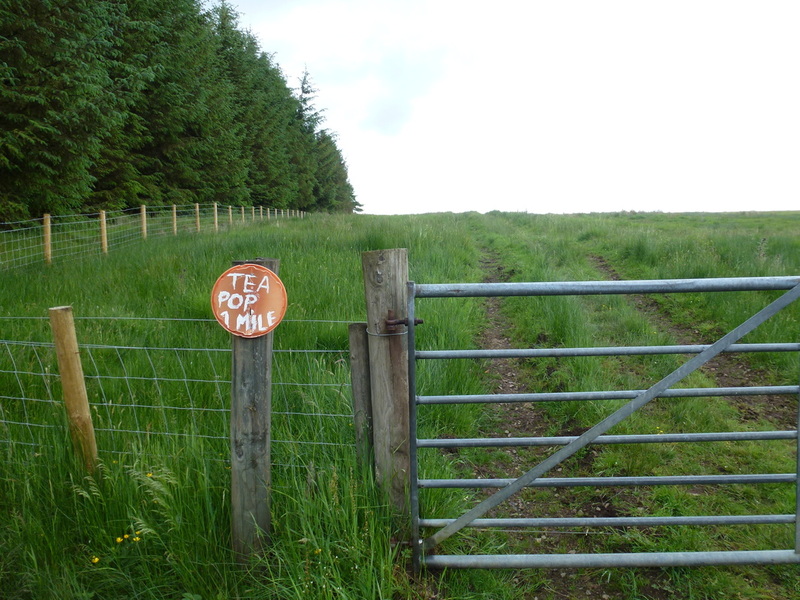 Horneysteads Farm is ahead. 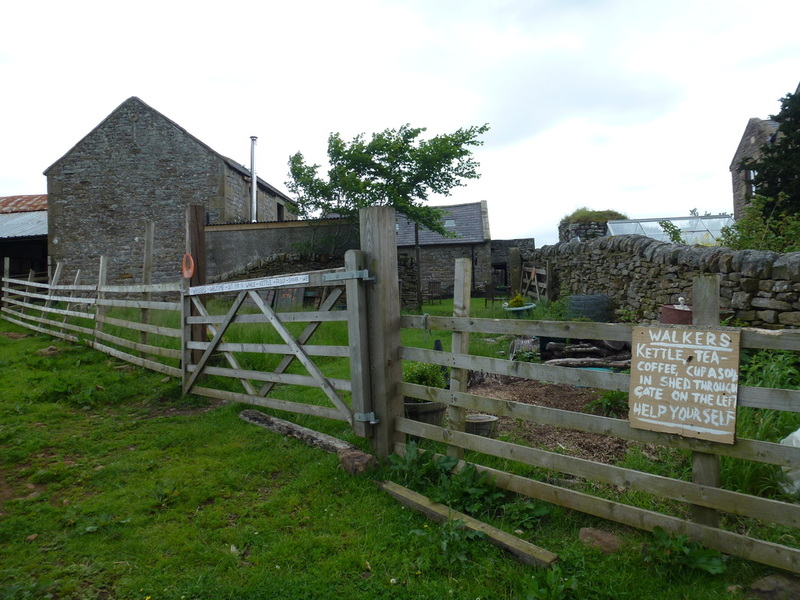 And here they are - Horneysteads Farm with welcome refreshments in the shed. Basic but very welcome. 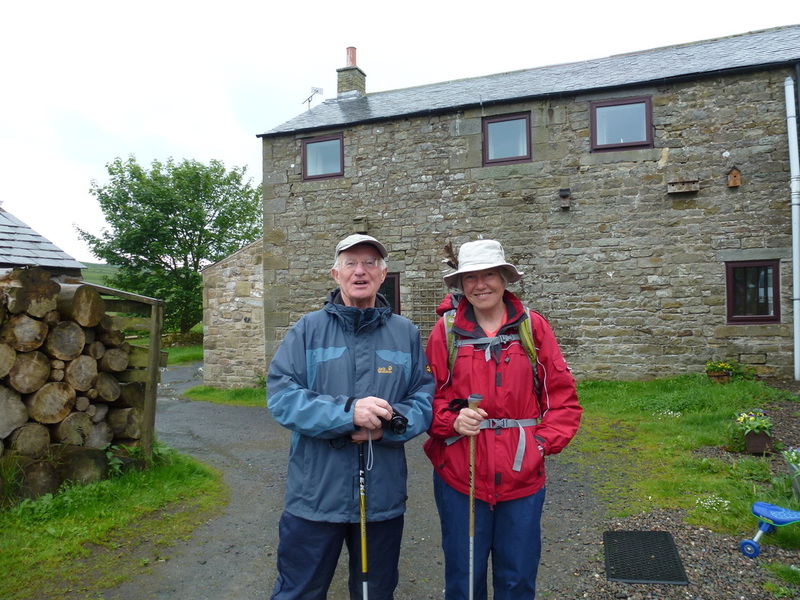 We now had a bit of tarmac walking which coming after the often boggy sections was very welcome. At a T-junction we crossed over to take a path up to Shitlington Hall Farm passing two Border Collies with anger management issues. The path now steepened markedly up to Shitlington Crag and on to a track running across the top of the crag. 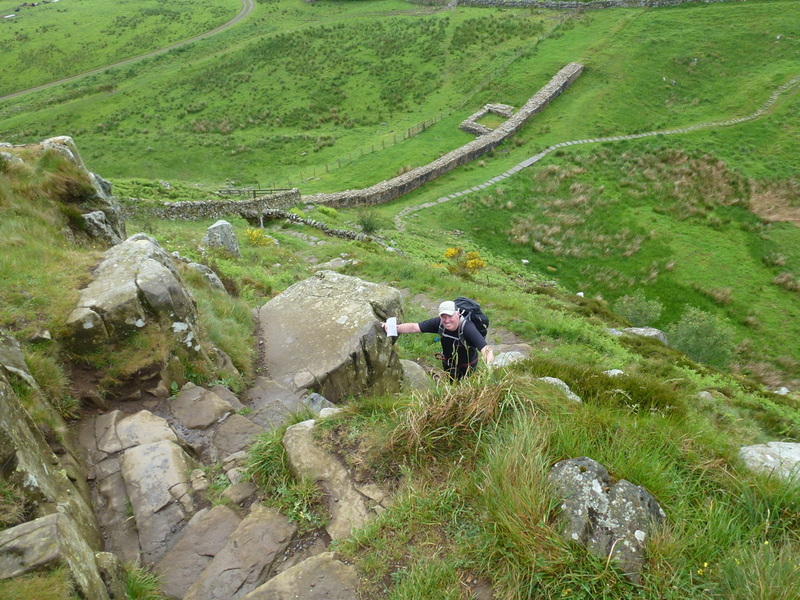 We joined this for 400 yards or so before heading to the top of the rise where we should have seen a tall Pennine Way marker post - it was on the ground! 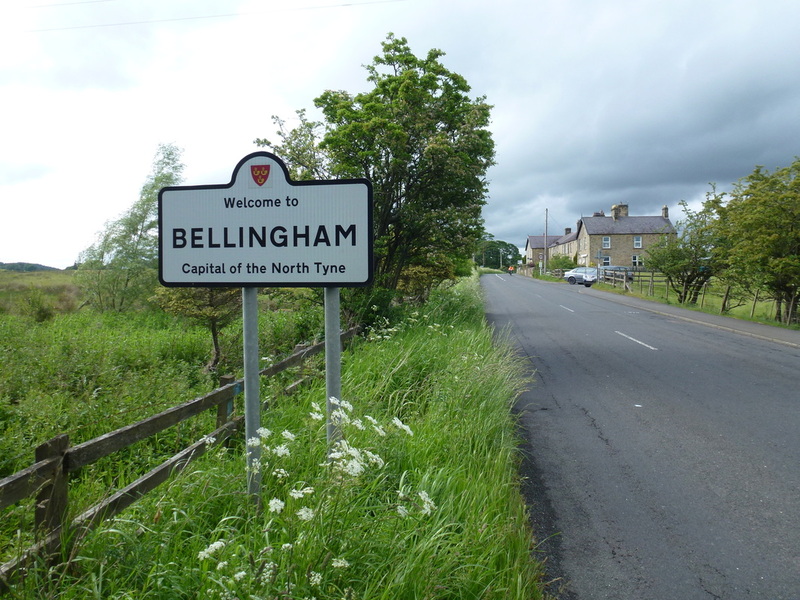 It was here we saw our first view of Bellingham in the valley below and the route dropped down gradually via a lane to pass alongside the B6320 before joining the same road a bit further on. 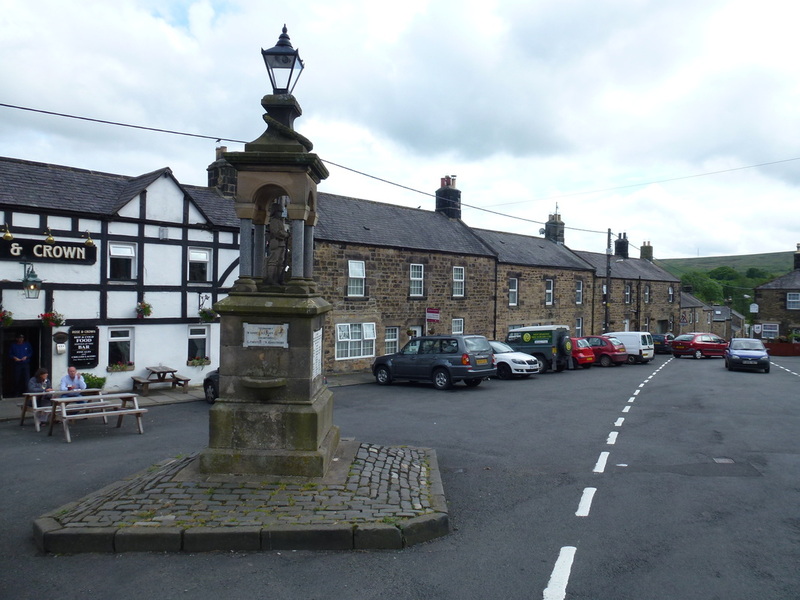 We then crossed the bridge over the River North Tyne to reach the village centre and The Cheviot Hotel, our digs for the night. 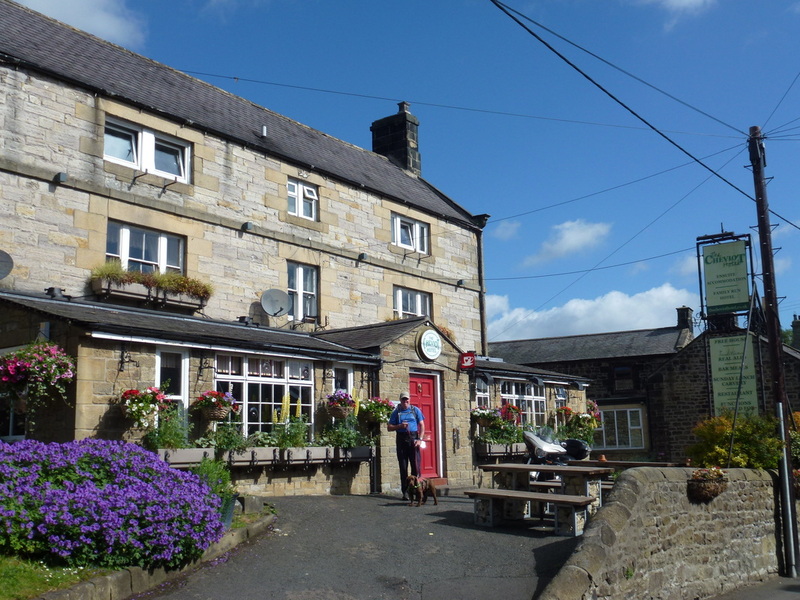 ​The pub was busy therefore after a quick check in and booking a table for dinner we sat outside and availed ourselves of a couple of beers. A biker couple arrived whilst we were sat there and the male member of the twosome took off his helmet to reveal a heavily bandaged head - apparently he was having a shower in his B&B in Scotland and on turning it on received a shot of boiling water to his forehead. Must have been terrible riding all the way from Scotland with a burnt head and a helmet over it. Another couple asked us to remove some ticks from their dogs and as we had a Tick Remover, Dave cordially obliged. All in all this was another varied and enjoyable days walking - apart from a few walkers on the Wall and Ian & Rosie we saw few people. We topped off this great day with a lovely meal at The Cheviot Hotel. 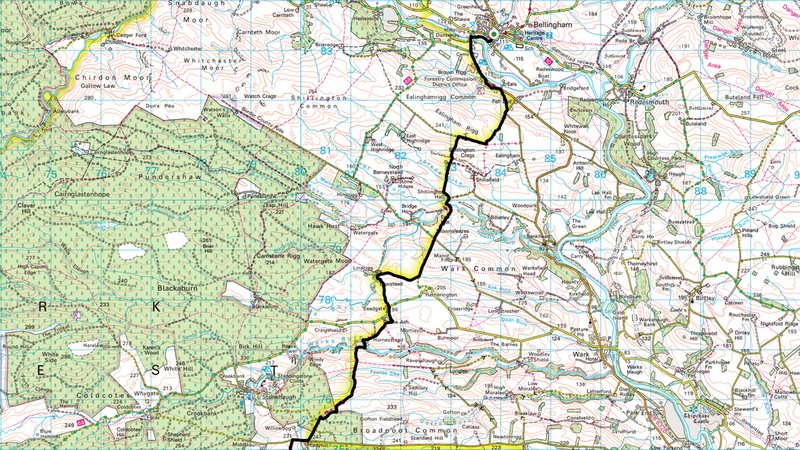 Tomorrow would see us off to Byrness and ever nearer to the border with Scotland. This was a real surprise - massive room and a really good pub with excellent food. The breakfast was fantastic.